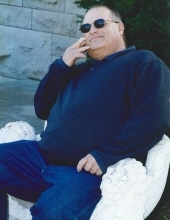 Randy Allan Dunn, age 65, left this world on Wednesday, April 4, 2019, at the Ponca City Nursing and Rehab Center. A celebration of his life will be held at the Trout Funeral Home Chapel on Wednesday, April 10, 2019, with Brad Sanders officiating. Randy’s remains will be laid to rest at a later date at Fawn Creek Cemetery in Tyro, KS. Randy was born in Coffeyville, KS to L. Allan and Margie (Sanders) Dunn on January 29, 1954. Growing up he spent most of his days outside enjoying life on the family farm. He attended Caney Valley High School where he met the love of his life, Rosetta Loggan. He was a member of FFA, the school choir and always had a smile on his face. After graduating he and Rosetta (Rosie), married on August 18, 1972 at the Lone Cherry Southern Baptist Church in Havana, KS. They made their home in Caney, Ks until moving to Ponca City in 1977. They welcomed a daughter, Elizabeth, October 31, 1979. She was the highlight of his day and she was definitely a daddy’s girl. Randy worked at various machine shops during his career as a machinist until a foot injury forced him into early retirement in 2010. Randy had a passion for restoring old things. From mustangs to tractors he could always be found piddling in his man cave. He was always up for a challenge of machining parts for anyone who needed something unique made. He and Rosie spent many hours restoring a 1966 Mustang from top to bottom. On most weekends they could be found at local car shows where they won several trophies and plaques for best in show. He was so proud of that car. NASCAR was another big love for Randy. He was able to attend a race in Talladega, AL and that was a day he talked about for a long time! He enjoyed the outdoors and mowing lawns for others. He loved all animals and had several special ones through the years. Randy knew no stranger, always had a joke to tell and was willing to help anyone in need at a moment’s notice. He will be greatly missed but never forgotten. Randy is survived by his wife, Rosie of the home; daughter, Elizabeth (Liz) and her husband Nicholas Steichen of Ponca City; sister, Kathy and her husband Bill Stauffer of Lawrence, KS; brother, Steve and his wife Becky Dunn of Caney, KS; two grandchildren: Sadie Ann and Aydyn Allan Steichen of Ponca City. In lieu of flowers, memorial contributions may be made to Hospice of North Central Oklahoma, 445 Fairview Ave, Ponca City, OK 74601 or to the Ponca City Humane Society, 900 W. Prospect Ave, Ponca City, OK 74601. On behalf of sharing memories of Randy, please dress for the Celebration of his life in casual Jeans and T-shirts. We will do one final cruise after the service so anyone who has a classic car is asked to drive theirs and be a part of that. To send flowers or a remembrance gift to the family of Randy Dunn, please visit our Tribute Store. "Email Address" would like to share the life celebration of Randy Dunn. Click on the "link" to go to share a favorite memory or leave a condolence message for the family.